If you’re equating it to a typical selfie, it’s pretty freaking gigantic. But if you’re equating it to the Cosmos itself, even a group of thousands of galaxies - each hundreds of thousands of light-years across - is tiny. As these galaxies are so far away from us, the fact that we’ve had to wait exactly billions of years for their light to get here means they give us a sight of what the galaxies appeared way back in the Universe’s history. So you are literally looking into past. As NASA explains, the tiniest, reddest galaxies in the shot might be among the most distant known to science, and are believed to have existed when the Cosmos was just 800 million years old. 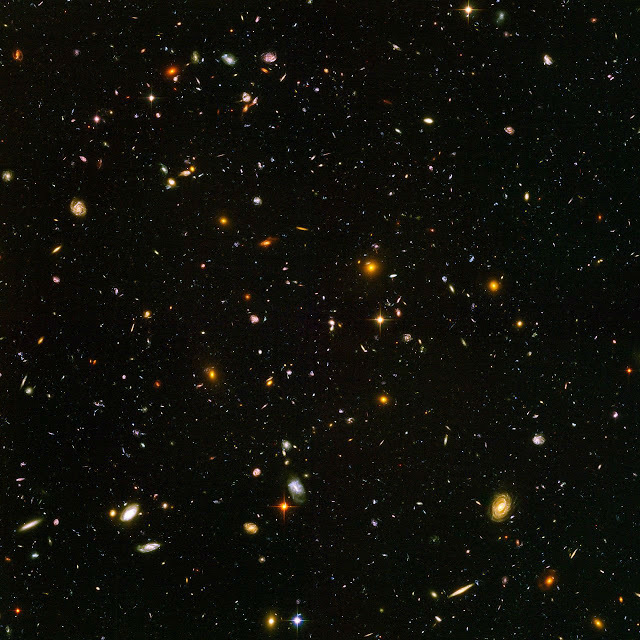 While you sit and look at it, think of that every single one of those galaxies might be just like our Milky Way. Which means every single one of those galaxies has the potential to hold a Solar System just like ours, and a planet just like Earth.